ALL WHEEL DRIVE! CARFAX One-Owner. Clean CARFAX. ***NO ACCIDENTS ON CARFAX*** Mark Miller Subaru Midtown is proud to offer this 2011 Nissan Juke SV, in White Pearl and Black/Red Cloth. Remote keyless entry, Air-conditioning, Cruise control, POWER: WINDOWS/LOCKS/MIRRORS, Tilt Steering Wheel w/ Cruise & Audio controls, AM/FM/MP3 w/ CD, Vehicle Stability Control, Traction Control, ABS Brakes, Tire Pressure Monitoring System. Our Principles of Love Promise: *Promise Pricing, No Negotiation *Non-Commissioned, Pressure Free, Efficient & Helpful Staff *48HR Money Back Guarantee *Eco Friendly Dealerships *Active Community Involvement *Open & Transparent Offices *Trade-In Guarantee: We Buy Even if You Don't. 25/30 City/Highway MPG Proudly serving the Salt Lake and surrounding areas, including: Bountiful, Logan, Ogden, Park City, Provo and Tooele. ***NEW TIRES*** just in time for spring fun! ***NO ACCIDENTS ON CARFAX*** Mark Miller Subaru Midtown is proud to offer this 2015 Ford Focus SE, in Tuxedo Black and Charcoal Black interior. Backup camera, Remote keyless entry, AM/FM/MP3 w/ SiriusXM® Satellite, Bluetooth® Hands-Free Phone System, USB, Tilt/Telescoping Steering Wheel w/ Cruise & Audio controls, Air-conditioning, POWER: WINDOWS/LOCKS/MIRRORS, Cruise control Our Principles of Love Promise: *Promise Pricing, No Negotiation *Non-Commissioned, Pressure Free, Efficient & Helpful Staff *48HR Money Back Guarantee *Eco Friendly Dealerships *Active Community Involvement *Open & Transparent Offices *Trade-In Guarantee: We Buy Even if You Don't. 26/36 City/Highway MPG Awards: * 2015 IIHS Top Safety Pick * 2015 KBB.com Brand Image Awards Proudly serving the Salt Lake and surrounding areas, including: Bountiful, Logan, Ogden, Park City, Provo and Tooele. Clean CARFAX. 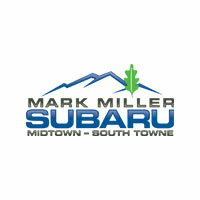 ***NO ACCIDENTS ON CARFAX*** Mark Miller Subaru Midtown is proud to offer this 2012 Hyundai Accent GLS, in Clearwater Blue and Beige interior. Automatic, Comfort Package, Air Conditioning, Power Windows, Power Bodycolor Mirrors, AM/FM/XM/CD/MP3 Audio System, Bodycolor Door Handles, Cloth Door Inserts. Our Principles of Love Promise: *Promise Pricing, No Negotiation *Non-Commissioned, Pressure Free, Efficient & Helpful Staff *48HR Money Back Guarantee *Eco Friendly Dealerships *Active Community Involvement *Open & Transparent Offices *Trade-In Guarantee: We Buy Even if You Don't. 28/37 City/Highway MPG Awards: * Ward's 10 Best Engines Proudly serving the Salt Lake and surrounding areas, including: Bountiful, Logan, Ogden, Park City, Provo and Tooele. ***NEW TIRES*** just in time for spring fun. Priced Below Kelley Blue Book® Typical Listing Price ***CLEAN CARFAX***, ***NO ACCIDENTS ON CARFAX***. Mark Miller Subaru Midtown is proud to offer this 2013 Ford Focus SE, in Oxford White and Charcoal interior. Remote keyless entry, Air-conditioning, Cruise control, Alloy Wheels, POWER: WINDOWS/LOCKS/MIRRORS, Tilt Steering Wheel w/ Cruise & Audio controls, AM/FM/MP3 w/ CD, Vehicle Stability Control, Traction Control, ABS Brakes, Tire Pressure Monitoring System. Our Principles of Love Promise: *Promise Pricing, No Negotiation *Non-Commissioned, Pressure Free, Efficient & Helpful Staff *48HR Money Back Guarantee *Eco Friendly Dealerships *Active Community Involvement *Open & Transparent Offices *Trade-In Guarantee: We Buy Even if You Don't. 26/36 City/Highway MPG Awards: * Car and Driver 10 Best Cars * 2013 IIHS Top Safety Pick * 2013 KBB.com 10 Coolest New Cars Under $18,000 * 2013 KBB.com Brand Image Awards Car and Driver, January 2017. Proudly serving the Salt Lake and surrounding areas, including: Bountiful, Logan, Ogden, Park City, Provo and Tooele. CARFAX One-Owner. Clean CARFAX. MECHANIC SPECIAL. Sold AS-IS. Ca$h Only.. Priced below KBB Fair Purchase Price! Our Principles of Love Promise: *Promise Pricing, No Negotiation *Non-Commissioned, Pressure Free, Efficient & Helpful Staff *Eco Friendly Dealerships *Active Community Involvement *Open & Transparent Offices *Trade-In Guarantee: We Buy Even if You Don't. Proudly serving the Salt Lake and surrounding areas, including: Bountiful, Logan, Ogden, Park City, Provo and Tooele. SALVAGE TITLE/CERTIFICATE ISSUED/ MECHANIC SPECIAL. Sold AS-IS. Ca$h Only. Our Principles of Love Promise: *Promise Pricing, No Negotiation *Non-Commissioned, Pressure Free, Efficient & Helpful Staff *48HR Money Back Guarantee *Eco Friendly Dealerships *Active Community Involvement *Open & Transparent Offices *Trade-In Guarantee: We Buy Even if You Don't. Proudly serving the Salt Lake and surrounding areas, including: Bountiful, Logan, Ogden, Park City, Provo and Tooele.